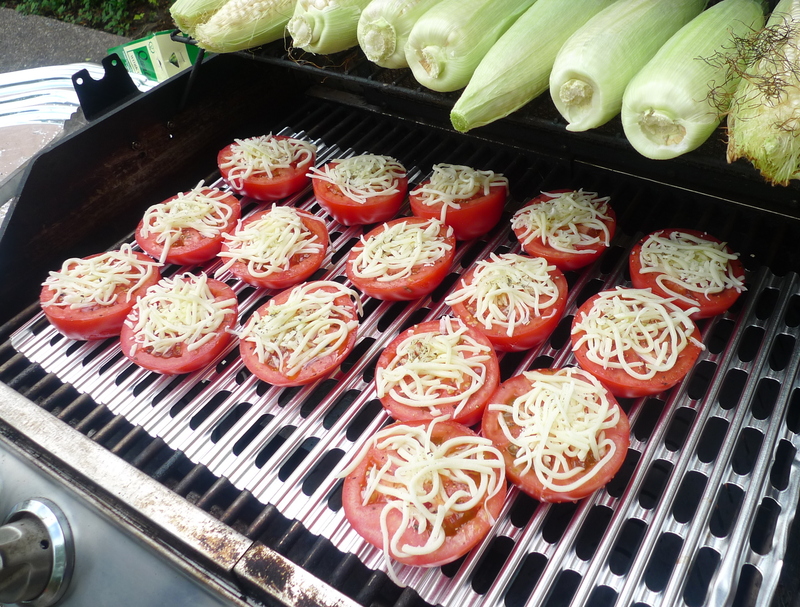 This is how my mom grills tomatoes and it’s my favorite grilled vegetable dish out there! Elote (Mexican grilled corn) is very closely tied though… something about grilled veggies and smothering them in cheese is just irresistable. My mom typically serves this with barbequed spare ribs, corn, and rice. Any barbequed meat will go well with this side dish, including these Asian bbq dishes Thai Barbeque Chicken and Char Siu Baby Back Ribs. Just salivating reminiscing on my family BBQs at home! Slice each tomato in half. 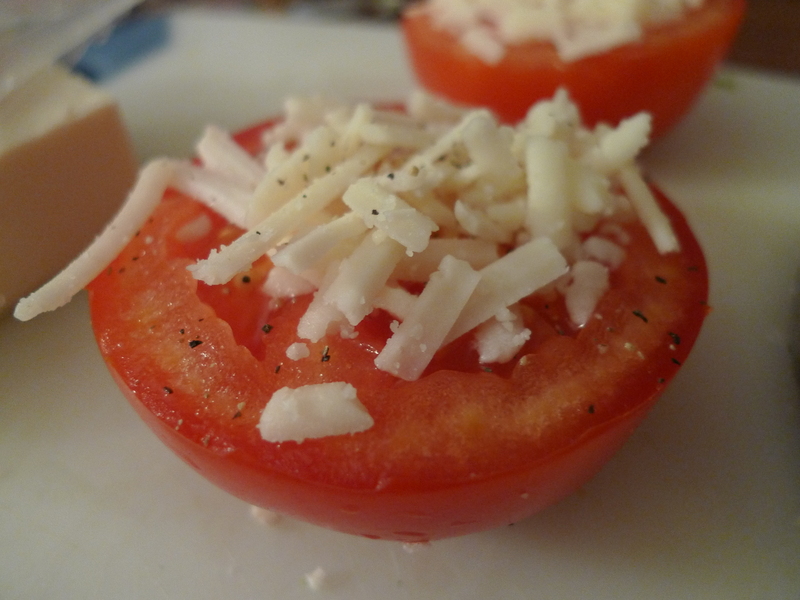 Drizzle with some olive oil and sprinkle 1 T of mozzarella cheese on each tomato half. Add a pinch of salt and pepper to each tomato half. My dad had some disposable foil grilling sheets, but alternatively, you can prepare a foil packet so you can grill the tomatoes without losing all their juices. 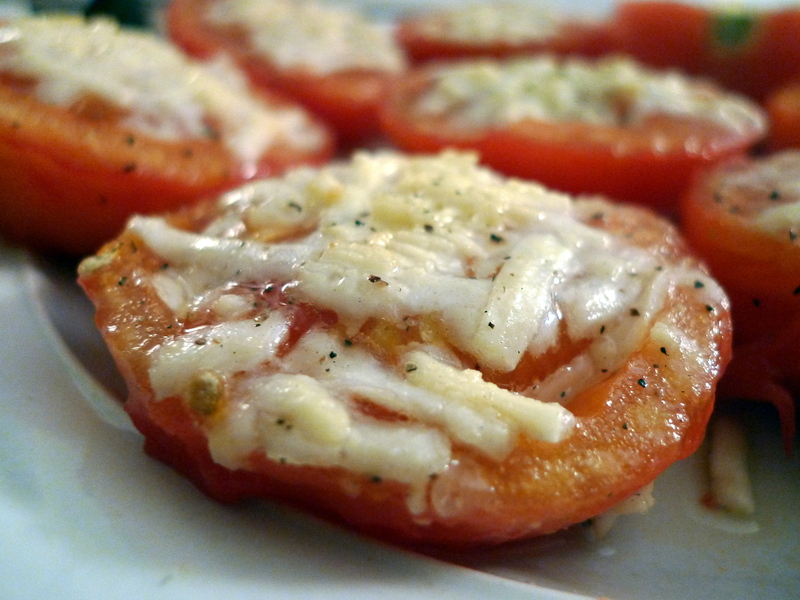 Lay the tomatoes cut-side up and grill over medium heat for 6-8 minutes or until softened and the skin is nice and wrinkly. Alternatively, you can also roast in a convection oven set at 350ºF for 15-20 minutes for similar results. Sprinkle with oregano and garnish with torn basil. Enjoy as a snack or a side dish to any barbequed meats, such as Thai Barbeque Chicken or Char Siu Baby Back Ribs.